Mike M Jensen was born in Utah but has spent large parts of his life residing in the Bay Area and the Central Valley regions of California, and Reno, Nevada. In addition, he worked two summers at a gold mine in Northwest Alaska and another two years in France and Switzerland speaking French on an LDS mission. Mike works at the University of Utah for the Office of Comparative Medicine, where he has been for the past 22 years. A past member of Toastmasters and former columnist for a national industry-specific magazine, Mike naturally evolved into writing stories. His first published work, Twice the Christmas, is a novella Mike wrote during a personally tough December. The first chapter had been written a year or so before, but the message that emerged from the completed story was one he needed to learn and hoped to share with his readers. Originally released on Kindle, it is now also available in print. Ain’t Dead Yet, a Porter Rockwell Novel, is the first installment of an exciting Western fiction series based on the real-life LDS legendary character Orrin Porter Rockwell. The story is made-up but weaves within the action, many of the stories and struggles of Rockwell in mid-1850’s Utah. It is available in both print and e-book. The second book of the series is expected in June of 2015. 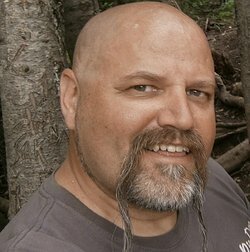 Outside of writing, Mike enjoys road trips on his motorcycle, hiking the many mountains and trails around his home in Northern Utah and fishing the streams and lakes in-between. Likewise. And I enjoy your blog gpcox!